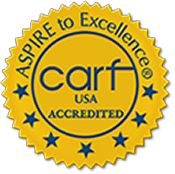 The Children & Teenagers Foundation, Inc. has been CARF (Commission on Accreditation of Rehabilitation Facilities) accredited as an agency of excellence since 2009. CARF credentialing is a national accreditation process that ensures high quality of programmatic standards. The goal of our dedicated team members is to provide children, teenagers, adults and families with clinical and therapeutic services. 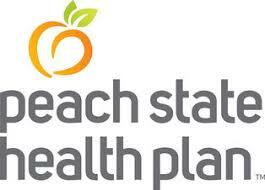 We encourage and support the growth and development of healthy family units. Program delivery includes assisting with community transitioning and providing ongoing family support to maintain stability. We offer crisis management and intervention along with aftercare services. Our services are provided in homes, schools, community, and our clinic. Our mission is to provide creative, solution-focused interventions that identify and value the strengths, needs, and abilities of individuals and families in order to ensure positive emotional, social, educational, and physical development. Collaborative, community-based initiatives increase harmony and stability at home while reducing risk factors. Our team members are committed to strengthening family units. 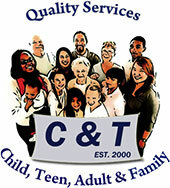 The Children & Teenagers Foundation, Inc.